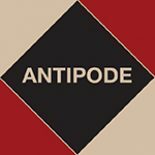 Issue 5 of Antipode‘s 44th volume will be out in a couple of months, and the papers which make up the special issue are available now online. Entitled ‘Anarchist Geographies’ and edited by Simon Springer (University of Victoria), Anthony Ince (University of Glasgow), and Jenny Pickerill, Gavin Brown and Adam Barker (University of Leicester), it promises to ‘reanimate’ radical geography’s anarchist traditions. Almost three and half decades after Antipode‘s first special issue on anarchism – see here – the authors assembled make the case for why, as contemporary global challenges push anarchist theory and practice back into widespread currency, ‘geographers need to rise to this occasion and begin (re)mapping the possibilities of what anarchist perspectives might yet contribute to the discipline’. And with a foreword from pioneering anarchist geographer Myrna Breitbart, an afterword from Israeli anarchist theorist and activist Uri Gordon, and seven superb papers from scholars both eminent and emerging, we’re sure you’ll agree they make the case well. This entry was posted on 20 August 2012 by Antipode Editorial Office in Other and tagged Adam Barker, anarchism, anarchist geographies, Anthony Ince, autonomy, direct action, everyday life, Gavin Brown, Jenny Pickerill, mutual aid, Myrna Margulies Breitbart, neoliberalism, postanarchism, radical geography, Simon Springer, solidarity, Uri Gordon.